Victoria told us that her Destination Caribbean Wedding Planning goal was to have us remember all the great things - the beach, the smiles, the love and the laughter. We didn't have to worry about any of the details! All Inclusive Weddings delivers free destination wedding planning and the lowest rates to the best Caribbean weddings resorts – guaranteed. We are affiliated with the largest resort wholesalers in the Caribbean which gives us access to the lowest rates anywhere. Our mandate is to make your dreams of the perfect Caribbean beach weddings come true at a fraction of the cost you’d pay elsewhere. All of our weddings are booked through All Inclusive Resorts. What exactly does All Inclusive Weddings do? 1.When couples book their hotel rooms with All Inclusive Weddings, we take care of your destination Caribbean wedding planning at no additional cost. 2.We’ll be with you every step of the way to make your dream wedding a reality. Any problem that arises, we’ll be available to you and your guests to help troubleshoot and resolve the situation. 3. Most events coordinators at the best Caribbean weddings resorts are very busy, difficult to contact and may not speak English very well. We will serve as your liaison to the weddings coordinator at the resort to ensure that your needs and concerns are met. 4. When it comes to Caribbean destination weddings, we have no competition because nobody does what we do. We deliver the lowest prices on the best Caribbean all inclusive wedding resorts and free destination Caribbean wedding planning. 5. The two biggest mistakes that couples make are booking a trip without a wedding planner or paying thousands of dollars for destination Caribbean wedding planning. We deliver all inclusive resort prices for less than you can find anywhere and become your personal wedding planners absolutely free – you can’t lose. 6. We will tailor your all inclusive destination wedding package to your needs. You are welcome to purchase airfare through us, fly on points or shop around for your own flight deals. Wherever you buy your airline tickets, it will not change the wholesaler’s rate that on your hotel rooms provided by All Inclusive Weddings. 7. 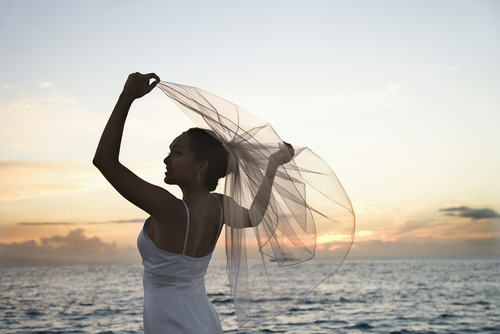 A destination Caribbean wedding can create memories that last a lifetime if it’s well orchestrated. Tell us a little bit about your wedding expectations and we’ll start the process of making your dreams a reality today. Why a Caribbean Destination Wedding? More and more of today’s couples are considering a Caribbean destination wedding to start off the new chapter of their lives together. The allure of the backdrop of a Caribbean beach wedding and being surrounded by 20 to 30 of their closest friends and family in a tropical paradise is very enticing. The average traditional wedding costs upwards of $25 000, while a Caribbean destination wedding does not cost much more than a typical honeymoon. Chances are that many guests at a traditional wedding would be flying in from out of town anyways. Whether they fly into your hometown or to the Caribbean doesn’t necessarily change the cost for them. At a traditional wedding, the bride and groom don’t usually have a great deal of time to spend with the guests. Combining your wedding and honeymoon while creating a mini-vacation for your guests can become a thoughtful, memorable event. Another reason is that today’s bride and grooms lead very busy lives and are more than likely just making headway in very involved careers. The last thing they need are the added expenses, worries and months of planning that a traditional wedding entails. All Inlcusive Weddings only requires you decide on a resort and invite family and friends to attend. The destination Caribbean wedding planning is taken care of, leaving you to anticipate your big day without it becoming an overwhelming experience. Drop us a line and All Inclusive Weddings will start making your dreams come true.